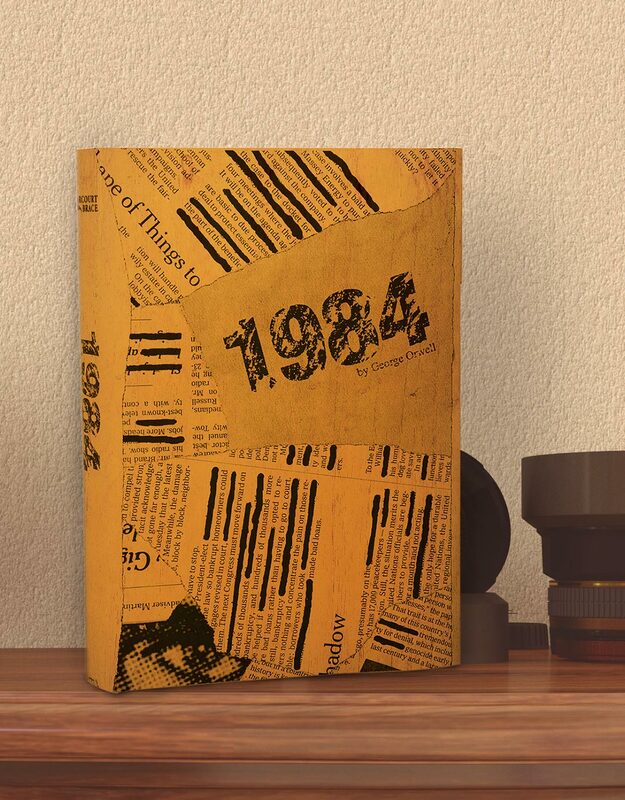 The objective of the project was to create the book cover for the book 1984. 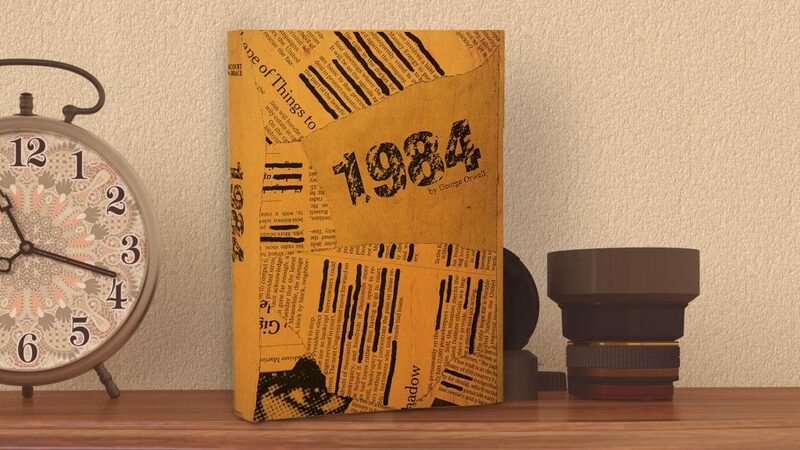 The story of 1984 revolves around government control and censorship. 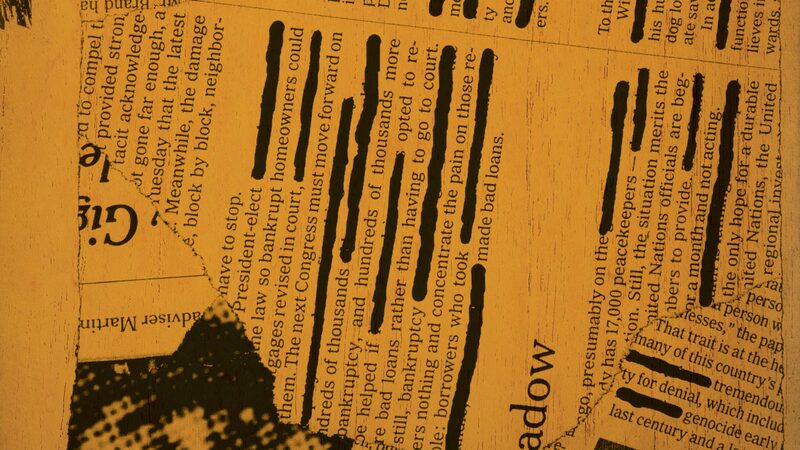 Scraps of paper with text is often blacked out and censored. 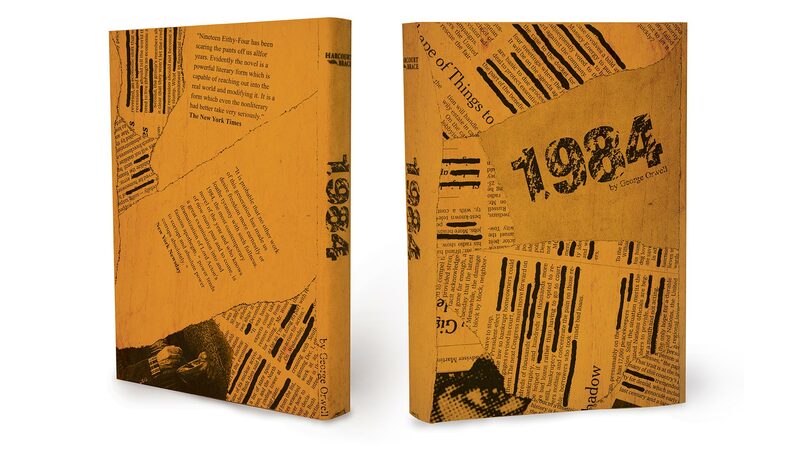 The packaging for this book is comprised of censored passages. Behind the passages lurks an eye that is watching.